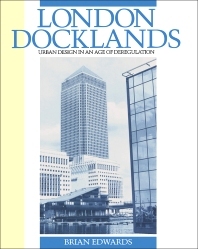 London Docklands: Urban Design in an Age of Deregulation discusses the process and products of the first 10 years of the London Docklands. The book is comprised of 10 chapters that are organized into three parts. The first part talks about the potentials of the London Docklands. The second part presents the area of studies, which are the Isle of Dogs, Surrey Docks, Wapping, and the Royal Docks. The last part deals with the observations and speculations. The text will be a great source to urban planners, particularly those who are involved in projects that deal with cities that are in close proximity to large bodies of water. 2 Docklands: a Regenerated Place or the Landscape of Speculation? 9 Docklands: Success or Failure?